We work hard to find you signification financial savings and productivity gains! Take a look at the latest products and technology from Ricoh and LulzBot right here in the heart of the Kootenays. Isosceles works with the largest vendor of Ricoh copiers in BC to provide the Kootenay region with an elite level of photocopier sales and support. This partnership means your business is supported by a large team of professionals, providing the best response, security and service times in the Kootenays. Ricoh copiers are the top tier of photocopy machines in the industry – integrating seamlessly with networks and other business services and providing large productivity gains. Isosceles can provide a free audit of your printing system, with the results often paying for a new more advanced machine. Stop by and take a look at the latest from Ricoh at our technology demonstration centre in Cranbrook. Book your free printing systems audit today! Call us or send us an email to have one of our experts conduct a free audit on your current print systems. We can make sure you have the most cost effective and useful solution available. Isosceles is a dealer of LulzBot 3D printers. 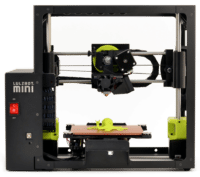 LulzBot products are made in Colorado, USA using a mix of domestic and imported parts. 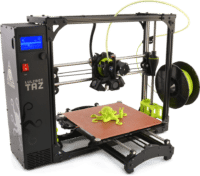 LulzBot 3D printers are known for their reliability, commitment to quality and even use their own 3D printers to make parts for more printers, with over 2 million production-grade parts so far. 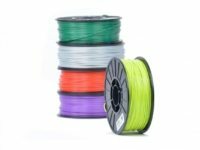 Whether you’re a novice or a more experienced 3D printer LulzBot products support a wide range of filament materials including PLA, ABS, nylon, co-polyester, polycarbonate blends. The possibilities are almost endless! This new and exciting field is fully supported and serviced by Isosceles. We are proud to carry the entire LulzBot range including experimental filaments, like CopperFill and BambooFill, right through to their modification and replacement parts. We have trained technicians ready to help you discover and apply these new 3D printing technologies. Stop by and see 3D Printing in action at our technology demo centre at 20 11th Ave. S. Cranbrook.